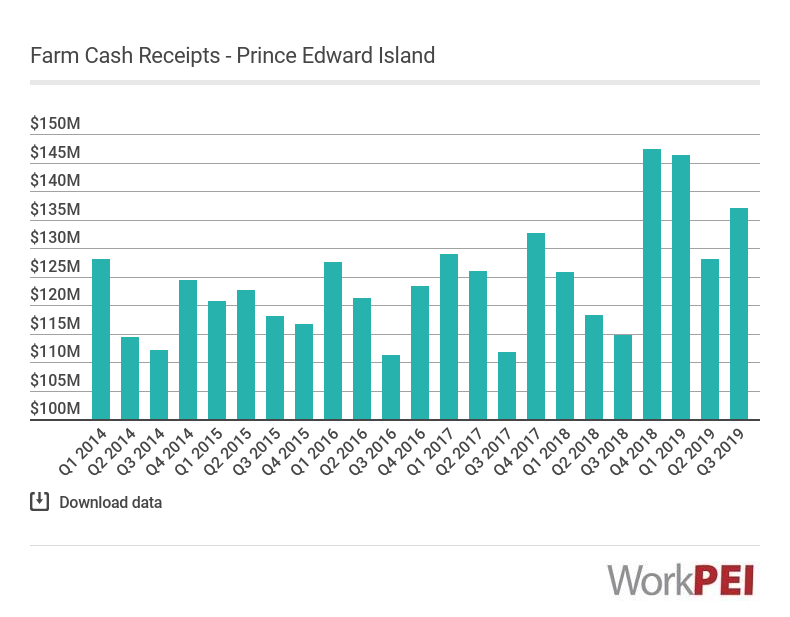 Farm cash receipts in Prince Edward Island decreased by 0.5% to $110 million in the third quarter of 2018 as compared to the same quarter last year. The national average decreased 0.5% over the same period. Adapted from Statistics Canada, Table 32-10-0046-01 (Farm cash receipts). This does not constitute an endorsement by Statistics Canada of this product. Farm cash receipts measure the gross revenue of farms from the sale of products (livestock and crops), and from direct program payments to producers.